La Dra. 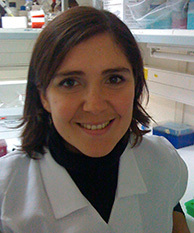 Maria Loreto Bravo es Bioquimica con grado de Doctor en ciencias biológicas, mención ciencias fisiologías. Realizo su postdoctorado en el laboratorio del Dr. Garerth Owen, centrando su investigación en un ensayo de quimiosensibilidad en pacientes con cáncer de ovario. Actualmente es investigadora adjunta de la Facultad de Ciencias Biologicas de la UC, donde lleva a cabo un proyecto Fondecyt de iniciacion y directora alterna del proyecto de medicina personalizada en BMRC. Life expectancy in Chile is increasing, bringing with it the increased burden of cancer. Due to its late stage detection, ovarian cancer is the leading cause of gynecological cancer death. The majority (70%) of ovarian cancers are serous carcinomas that offer a 5-year survival of less than 35% when presenting at an advanced stage. Originally believed to originate from ovarian epithelial cells, serous carcinoma is now thought to be derived from regions of dysplasia termed “tubal intra-epithelial carcinoma” (TIC) within the Fallopian tube. The majority of patients respond well to treatment, however almost all patients relapse within 12-18 months presenting metastasis in the peritoneal cavity. We feel that the lack of knowledge of this metastatic process is hindering ovarian cancer treatment and patient survival. The metastatic process requires the migration of cancer cells from the primary tumor to distant locations. Current dogma now dictates that cells escaping the primary tumor present different characteristics from the majority of cells that form the tumor mass. Representing only a minute percentage of the tumor cell mass, these “Metastasis Initiating Cells (MICs)” show evidence of epithelial-to-mesenchymal transition (EMT) and the expression of cell surface markers usually associated with physiological stem cells (“stemess”). Markers of stemness vary between cancer type, however the protein with the strongest association with ovarian cancer is increased CD44. EMT is a process characterized by a phenotypic change of an epithelial cell to a more elongated stromal-like migratory cell with cellular increases in SNAIL, TWIST, ZEB1 and N-Cadherin and a reduction of E-Cadherin. The cellular reprograming involved in cancer progression has been reported to require epigenetic changes and escape from immune surveillance. Epidemiological studies show that obesity correlates to ovarian cancer incidence. Elevated levels of plasma Leptin in obese patients contribute to tumor growth and the promotion of MIC formation in a variety of cancers. In ovarian cancer patients, elevated cholesterol levels (and presence of ox-LDL) also correlate with a reduced period of progression-free survival after initial surgery and chemotherapy. Based on preliminary clinical data demonstrating that obese patients have less progression free survival than non-obese weight patients, we hypothesize that the microenvironment present in obese patients promotes MIC formation, epigenetic changes and evasion from immune surveillance, resulting in increased metastasis. Our general objective is to determine the role of epigenetic modifications and the mechanisms of immune surveillance escape in cancer cells derived from primary cultured peritoneal fluid (ascites) and ovospheres (in vitro isolated cancer spheres expressing MIC marker proteins) derived from obese and non-obese patients. 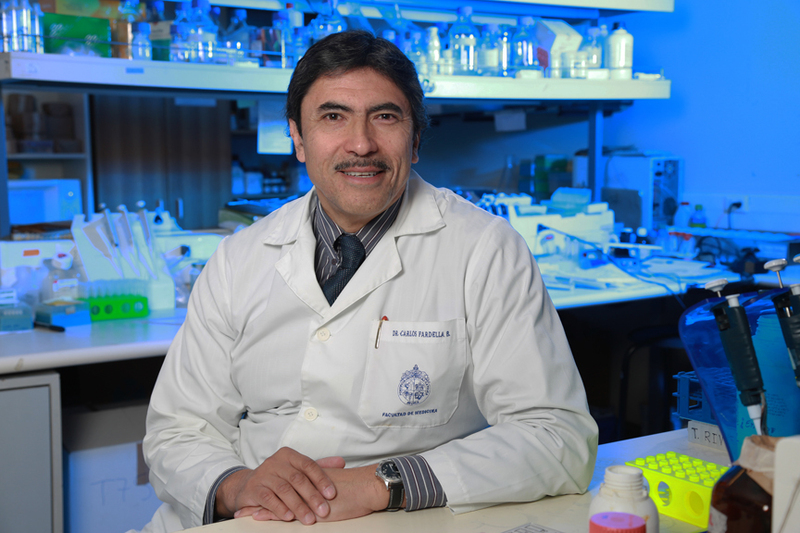 These observations, once confirmed, characterized and the significance understood, may offer biomarkers for cancer progression and deliver novel druggable targets to reduce the unacceptable loss of life currently associated with ovarian cancer.